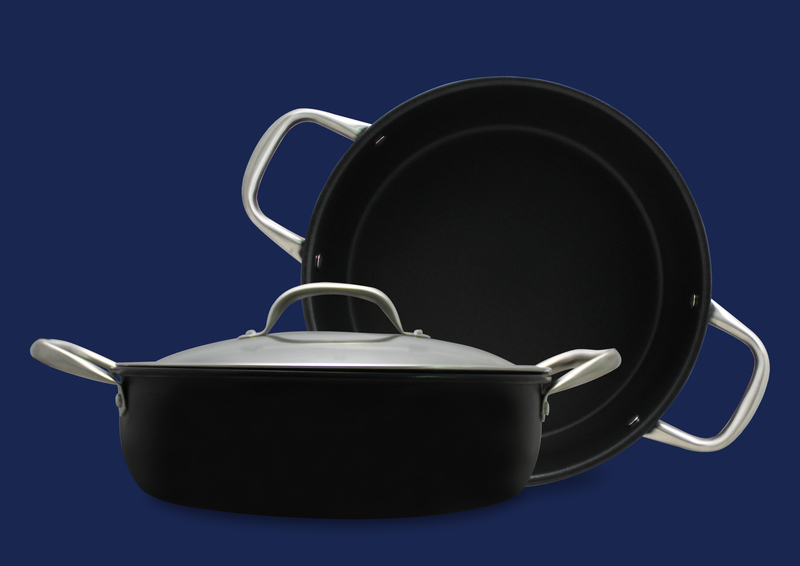 As was noted in this blog post, a Lotus Rock pan is excellent for braising meats or vegetables that need to be seared quickly in the open pan and then covered with a lid to cook slowly in their liquid and the moisture that is created. For this type of cooking method the whole process is done over the stove. 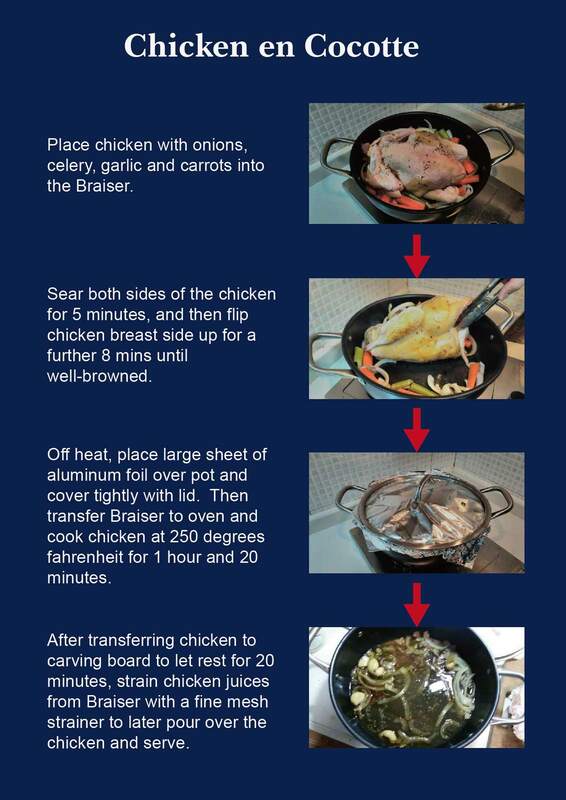 However if a Professional Forged Stainless Steel handle is used, then braising can also be done in the oven as well. Extended cooking time to yield tender, flavorful meat. However, there is one big difference – with en cocotte no liquid is added! With the en cocotte cooking method, juices are drawn from the meat into the pot. These juices create a moist-heat environment, so that the meat cooks gently – in effect braising it its own juices. The result is unbelievably tender and flavorful meat undiluted by additional liquid.